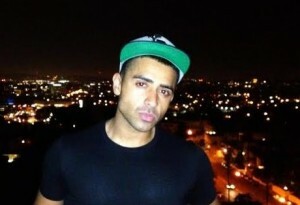 Plenty of tour news doing the rounds today, but British R&B star Jay Sean won’t be denied his column inches. The singer, who hit the big time three years ago with his single ‘Down’, will play four shows on local soil – two in Sydney and one each in Perth and on the Gold Coast – this October. He’s enjoyed a string of chart successes since ‘Down’ and even collaborated with our own Jessica Mauboy on her 2011 single ‘What Happened To Us’. Jay’s latest single is ‘I’m All Yours’ – a collaboration with rapper Pitbull, which has so far peaked at No.13 on the ARIA singles chart, bagging platinum sales. It’s the lead single from the singer’s forthcoming album ‘Worth It All’, which is due to hit later in the year. Support at the Campbelltown gig is provided by Elen Levon and Faydee, the Enmore Theatre gig includes Justice Crew, Young Men Society and more and the Gold Coast gig will feature Johnny Ruffo and Elen Levon.